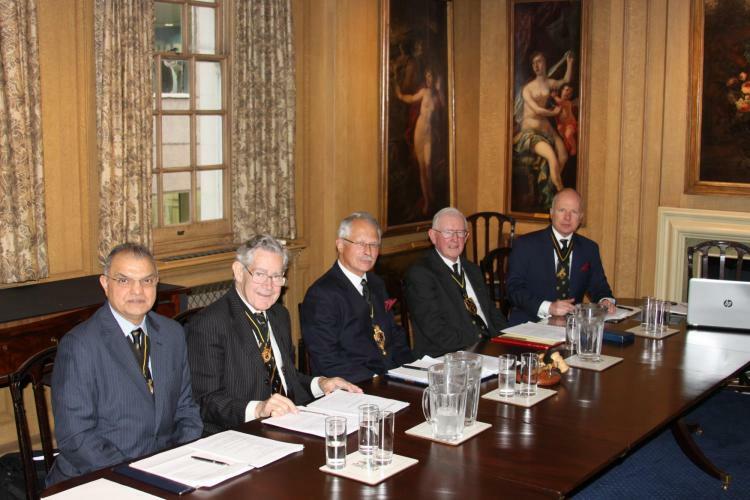 Four new Freemen of the Company were sworn in at a Wardens' Court which took place at Painters' Hall. Mrs Charlotte Teale, daughter of Past Prime Warden Adrian Oliver. Mr Eoin Murray, proposed by Third Warden Michael Shepherd. Miss Melissa Cole, a bronze medal winning blacksmith and daughter of Liveryman Hector Cole MBE. Mr Christopher Bowyer, the apprentice of Past Prime Warden John Barber.